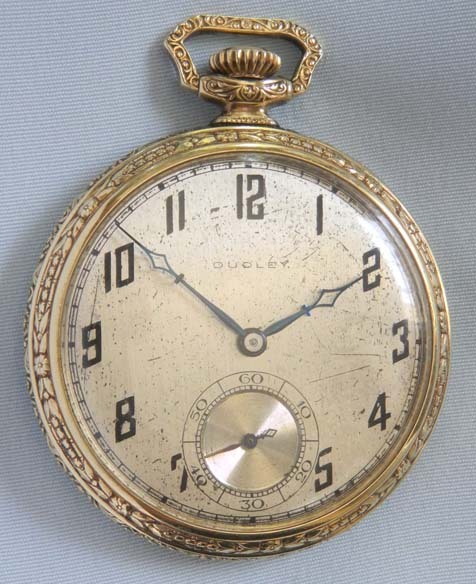 Scarce Dudley Model 1 gold filled antique pocket watch circa 1925. The bridges of the 19 jewel movement #1624 in the shapes of Masonic symbols with engraved bible. 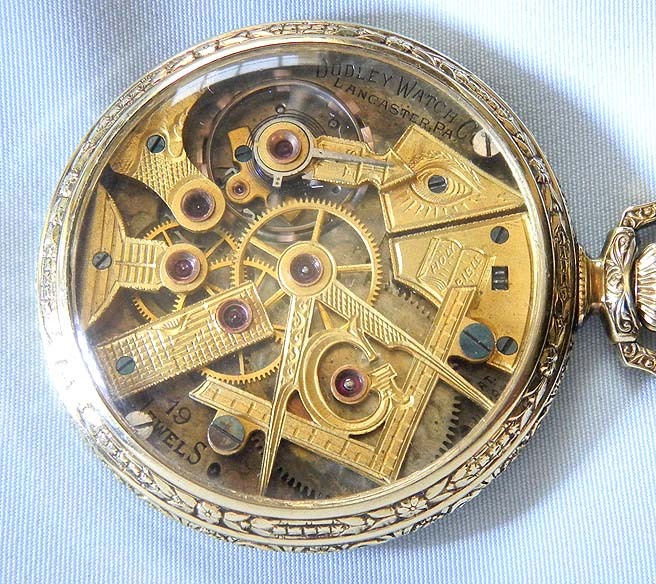 Original silver dial with black markings (scratches and signs of age) and fancy blued steel hands. (The dial can be refinished to look like new.) The case with fancy bezels, bow and pendant.